Keep pace with the demands of your customers and your executives. 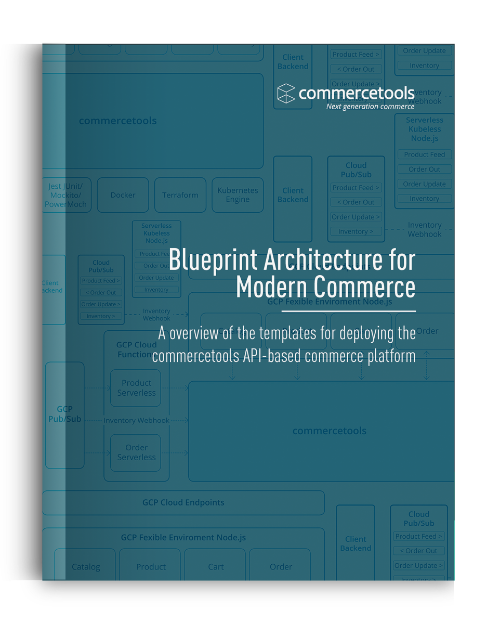 Implement your commercetools project in as little as 6-8 weeks. Create your own microservices-based commerce foundation so you can quickly move onto building innovative and unique shopping experiences across every channel for your customers. Connect to front-end CMS and digital experience platforms, plus back-end solutions like payment and ERP. Ready to jump right in and see a demo of The Blueprint? If your enterprise organization is going through a digital transformation and you've already de-coupled your front and back ends, please contact us below with your company name + title and one of our reps will reach out!